The state of Minnesota is in the news this week due to the bitingly cold wind chills that have shuttered schools and halted mail delivery. What may be surprising to some is that nestled within the blustery weather of this northern midwestern state is a rising number of racially and linguistically diverse families. Once a predominantly white monolingual state, Minnesota is now home to a growing share of immigrants and refugees — one in five children under the age five are children of immigrants. As school districts across the state experience increases in student diversity, there is an urgent need to grow the diversity of the educator workforce. Currently, only four percent of Minnesota teachers are persons of color, compared to one-third of students. 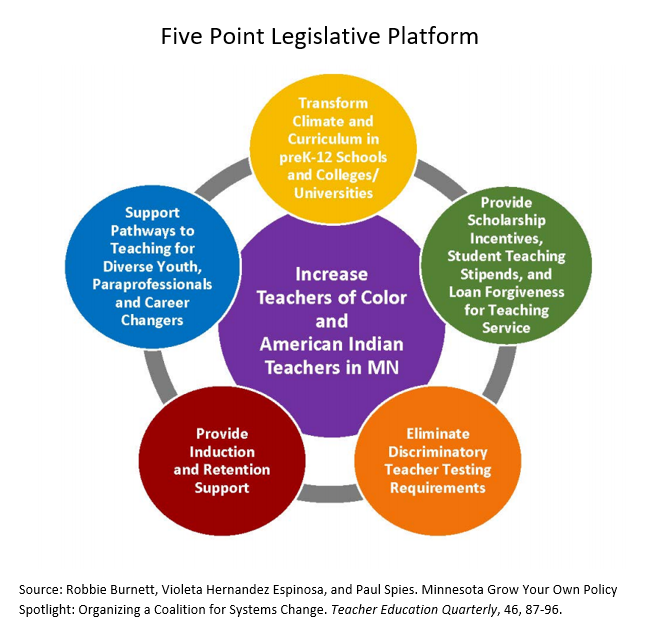 A new article published in Teacher Education Quarterly (paywall) describes the efforts of a statewide coalition to influence and create policies to address student-teacher diversity gaps in Minnesota. In 2015, a group of teacher educators and school district administrators brought together individuals from across the K-12 and higher education systems and community organizations to form the Coalition to Increase Teachers of Color and American Indian Teachers. The Coalition had the ambitious goal of doubling the number of teachers of color and American Indian teachers by 2020 and to increase representation of these candidates within traditional teacher preparation programs. To meet this goal, they crafted a five point legislative platform and launched an advocacy campaign to educate state legislators on the issue and help draft bills. 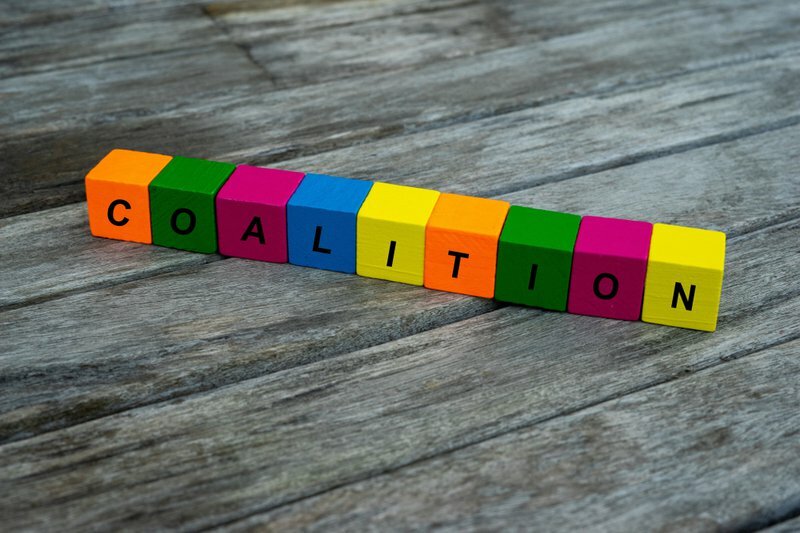 Authors Robbie Burnett, Violeta Hernandez Espinosa and Paul Spies highlight the Coalition’s accomplishments and challenges, along with lessons learned. In 2016, the group was able to get language added into several important state statutes specifying that all students have “equitable access to effective and diverse teachers who reflect the diversity of students in the district.” This was followed by much larger wins in the 2017 legislative session including the Increase Teachers of Color Act, funding for loan forgiveness, hiring bonuses and other strategies shown to boost teacher recruitment, and increased appropriations to help sustain a residency program to help paraeducators become teachers and expand Grow Your Own programs in the state. Grow Your Own (GYO) programs are partnerships between educator preparation programs and school districts to recruit and prepare local community members (e.g. parents, paraeducators, uncertified school staff, career changers) to enter the teaching profession and teach in the community. These programs are often seen as a promising approach to increasing the racial and linguistic diversity of the educator workforce. As state documents describe, Minnesota’s state-wide competitive GYO grant program is targeted at school districts and charter schools with more than 30 percent students of color and offers two pathways: (1) tuition scholarships for school district employees and community members to participate in a teacher residency pilot program; and, (2) grants to create pre-collegiate programs to attract high school students into the teaching profession, including dual-enrollment courses. The state legislature allocated approximately $1.5 million to the program and grants are set at a maximum of $500,000. Grant recipients are mandated to report on a variety of measures including demographics of participants, program effectiveness and cost, enrollment in colleges with teacher preparation programs and number of participants hired in the school/district after earning their certification and licensure. Several other states, such as Washington, Illinois and Texas, have implemented GYO grant programs aimed at stemming teacher shortages and attracting more diverse candidates into the profession. Washington’s GYO model includes a comprehensive approach that provides candidates with wraparound services along the continuum of their recruitment and preparation and that mandates the creation of partnerships between school districts and institutes of higher education to ensure programs are tailored to local needs. The authorizing language undergirding Minnesota’s GYO program is explicit about maintaining a focus on the recruitment of candidates of color and American Indians. In addition, it places heavy emphasis on providing candidates with access to teacher residency programs that provide an accelerated pathway into the profession. Residency programs offer candidates the opportunity to work under the guidance of a mentor teacher (usually in a year long apprenticeship) while simultaneously taking coursework to earn licensure and certification. A 2018 report from Bellwether Education Partners highlights that residency programs often attract greater numbers of diverse candidates due to their focus on exposing prospective teachers to the intricacies of teaching before they earn licensure and certification. The lessons offered in the article can serve to highlight key strategies for advocacy efforts aimed at leveraging GYO programs to expand pathways into the teaching profession for racially and linguistically diverse candidates. First, the authors suggest that GYO programs be framed within larger efforts to increase teachers of color in the state and understand how they fit within existing structures and policies for teacher preparation. Second, create goals that are “easy to communicate” and create long term and short term strategies for achieving those goals. Third, maximize available resources such as, partnering with lobbyists and legislative staff who can provide insights into the legislative process and help identify existing laws and statutes that can be amended (easier than drafting legislation from scratch). And finally, they argue that advocates must stay strong in their convictions and expect that the issue of increasing teacher diversity may be met with skepticism and resistance. Taken together, while GYO programs are often held up as a tool for increasing teacher diversity, only a handful of states have created policies to support their development. The example from Minnesota highlights that increasing GYO programs requires homegrown advocacy efforts to help garner legislative support and create necessary systems change.